Cataract Surgery is now available as a fixed price surgery at Parkside Hospital, to ensure you get the treatment you need, with little or no waiting. For more information please see our Fees & Costs. A cataract is a problem caused by cloudiness in the lens of your eye. These cloudy patches occur commonly and are most frequently considered a normal part of aging. Although not all cataracts significantly impact your vision during everyday life, the blurriness and clouding generally become worse over time. When this becomes the case, the cataract can usually be rectified and vision improved with a surgical procedure known as phacoemulsification. Before the cataract worsens, changing your prescription glasses can help improve your vision to a degree. 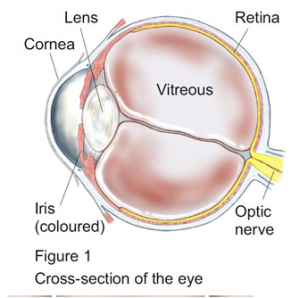 However, once the severity of the cataract advances, surgery is needed in order to restore your vision. Cataract surgery (known as phacoemulsification) is the most common procedure performed in the UK. It is a relatively straightforward operation, performed under local anaesthetic and normally lasts around 20 minutes. After making a small incision in the transparent layer at the front or your eye (the cornea), a surgeon will then use ultrasound (sound waves) to break the cataract down into small pieces to make the lens easier to remove. Once the affected lens has been removed, the surgeons will insert an artificial lens (known as an intraocular implant or intraocular lens) behind the iris, which is kept in the natural lens’ place. After cataract surgery at Parkside Hospital, you’ll find that your vision begins to settle within just a few days. Usually, you should be able to go home a few hours after the surgery, although you will need someone to drive you home. Three to six weeks after phacoemulsification surgery, you should visit your optician for an eye test to see whether your prescription has changed and you need new glasses. Regular exercise can help you to return to normal activities as soon as possible but you should always ask your consultant’s advice before undertaking any exercise. Most people make a good recovery from cataract surgery and will benefit from improved vision after the procedure. Cataract surgery Adult Glaucoma care (Medical, Laser including SLT, Surgical) Dry eyes Blepharitis. Price for this procedure from £2500.